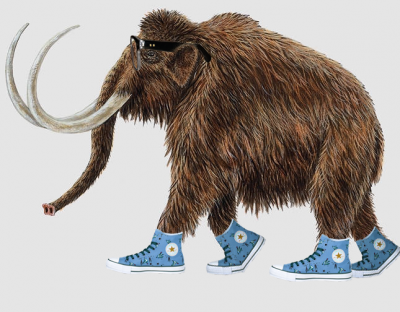 Woolly Mammoths still roamed the wilderness when the Pyramids of Giza were being built. A solitary population of Woolly Mammoths survived on Wrangel Island, off the coast of Siberia, until ~650 B.C. The weather finally got a bit too balmy, and their species finally went the way of the Ice Age. Mad props to that population of hard headed mammoths that held on for so long in the face of massive change.